On the 5th of Iyar, 5708 (1948), G-d's Name was sanctified. For the first time in two thousand year, the Jewish people had a state in their homeland. Two millenium after the Roman emperor Hadrian burnt our Temple, razed Jerusalem, sold the Jews into slavery and arrogantly declared 'Judea capta! (Judea is captured), the Third Jewish Commonwealth was established. After centuries of oppression and persecution, Crusades and pogroms, Inquisitions and Holocausts, the Jewish people had finally returned home to the land of their forefathers. When the Romans crushed the Jewish rebellion in 70 CE and destroyed the Temple, they carried out the majority of the Jews into exile. They built a huge victory arch in Rome showing the Temple utensils being taken as spoil. The Romans minted coins depicting a conquered a mourning Jewess, along with the words 'Judea capta'. In their minds, the Jewish people had been crushed. 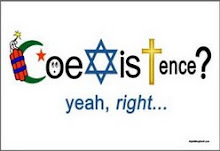 The Roman Catholic Church, which became the official religion of Rome, taught as doctrine that the Jews had been replaced and rejected by G-d, never to return to Israel. The Church, along with the scholars of Islam, mocked the Jews and taunted them over their abasement, claiming that their continued exile was proof of their replacement in G-d's eyes. Incredibly, while the Roman empire today is nothing but dust, Jews are once again living in the Jerusalem, the city of King David, in Judea and Samaria, where the Patriarchs lived and in the Galilee, where Bar Kochba and his brave Zionist rebels fought for liberty. "A song of ascents. When the Lord returned the captivity of Zion, we were like dreamers. Then our mouths were with laughter and our tongues with songs of praise; then they will say among the nations, "The Lord has done great things with these."" (Tehillim 126) Truly, we were like dreamers. Is there any clearer proof of G-d's sovereignty and majesty, of His guiding hand in history, than in the survival of the Jewish people in graveyards of the exile and in our return to the Land of Israel? Has there ever been such a thing in the entire annals of mankind, for a nation to have survived the sword and the stake, the racks of the Inquisition and the Crusading lance, the Cross and the Crescent, the killing fields and the gas chambers, to be returned home? Only by the might and mercy of G-d, through the brave pioneers and committed Zionist leaders, were we able to revive our ancient language, Hebrew, to re-settle the desolate cities, drain the swamps and make the deserts bloom. "For the Lord shall console Zion, He shall console all its ruins, and He shall make its desert like a paradise and its wasteland like the garden of the Lord; joy and happiness shall be found therein, thanksgiving and a voice of song." (Yishayahu 51:3) The land, empty and desolate, bereft of her children, which called out longingly for them for over two thousand years, now blossoms and is settled. For too long did Zion cry out for her sons and daughters in captivity, trampled on by a foreign oppressor. 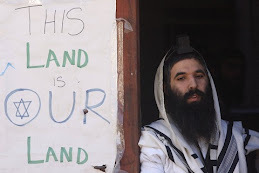 From the four corners of the Earth, the Jews have begun to return home. "Fear not for I am with you; from the east I will bring your seed, and from the west I will gather you. I will say to the north, "Give," and to the south, "Do not refrain"; bring My sons from afar and My daughters from the end of the earth."" 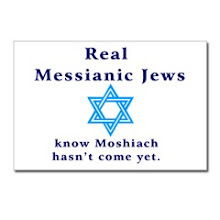 (Yishayahu 43:5-6) Out of the mellahs of Morocco and Tunisia and the shtetls of Russia and Poland, Jews came home. The same Jews who declared year after year their fervent hope and desire of 'Next Year in Jerusalem!' were privileged to see their dream become a reality. From the farthest and most remote reaches, the Land of Israel beckoned Jews home. Jews from Yemen and Ethiopia walked thousands of miles, trekked through dangerous deserts and hazardous terrain, braved intense dangers because they senses the impeding Redemption. When the Iron Curtain fell, the cry of 'Let my people go!' saw fruition as millions of Russian Jews fled the prison that was the Soviet Union and came to Israel to live lives of dignity and freedom. The Ingathering of the Exiles has begun as Jews from Iran and Turkey, Greece and Lithuania, Ukraine and Hungary, India and Afghanistan now live, mix and mingle, in peace together in the State of Israel. 61 years after the awesome day in Tel-Aviv, we can sit back and feel pride over our many accomplishments. The Jewish language, Hebrew was revived, a feat never before accomplished. Cities and settlements were created. A vibrant and modern democratic state was built. Israel has one of the best and most powerful armies in the world. Close to half of the world's Jewish population now lives in the Jewish state. Israel is a world leader in science and technology and contributed a disproportionate amount to high-tech, medicine and science worldwide. Despite all of Israel's many problems, it has accomplished more in its mere 61 years of existence than most other countries around the world. The State of Israel is far from the fulfillment of the Prophets and there is a long journey to the Ultimate Redemption. Yet, in the words of Herzl: "If you will it, it is no dream." Just as it seemed impossible for there to be a sovereign Jewish state, as it seemed impossible for Jerusalem to be reunited as the capital of the Jewish people, so too will we reach all of our goals. A nation that waited two thousand years to return home is not afraid of a long and difficult struggle. "Behold days are coming, says the Lord, that the plowman shall meet the reaper and the treader of the grapes the one who carries the seed, and the mountains shall drip sweet wine, and all the hills shall melt. And I will return the captivity of My people Israel, and they shall rebuild desolate cities and inhabit [them], and they shall plant vineyards and drink their wine, and they shall make gardens and eat their produce. And I will plant them on their land, and they shall no longer be uprooted from upon their land, that I have given them, said the Lord your God." 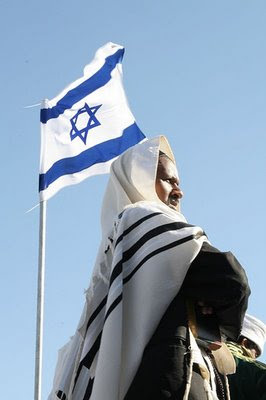 (Amos 9:13-15) May we see the complete fulfillment of the Jewish Dream, of the Prophets of Israel, of a world where "out of Zion will go forth Torah, and the word of HaShem from Jerusalem", very soon. May we merit the day when "nations will not lift up swords against each other, neither shall they learn war anymore". May the Complete and Final Redemption come speedily in our days, in mercy and love, amen! On this day, we pause to remember the 22, 570 Jewish soldiers who have fallen in the defense of the State of Israel and the Jewish people since 1860, the year the first Jews built neighbourhoods outside of the walls of the Old City of Jerusalem. Only in the merit of the sacrifice of these brave soldiers can we have a state. Their courage and self-sacrifice is testimony to the strength of the Jewish people. We bought this land with blood and fire. When HaShem promised our Father Avraham the Land of Israel, he asked G-d: Ba'meh eda ki erashena - How will I know that I will inherit it?. HaShem answered: bazeh, with this- sacrifices. Thousands of soldiers gave their lives to liberate this land and protect their people. 61 years after the re-establishment of the State of Israel, we continue to fight and struggle. The Eternal Nation is not afraid of a long journey. 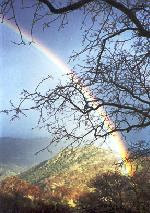 "A State is not handed to a people on a silver salver"
Chaim Weizmann, first President of Israel The Earth grows still. Wrapped in awesome joy, before the light. "Who are you, the silent two?" 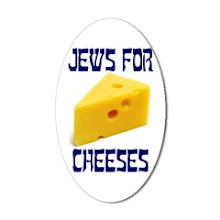 Upon which the Jewish State was served to you." And speaking, fall in shadow at the nation's feet. We cannot fathom the magnitude of the loss. I would like to remember one soldier in particular, Dvir Emanuelof, the first IDF casualty to fall in Gaza. 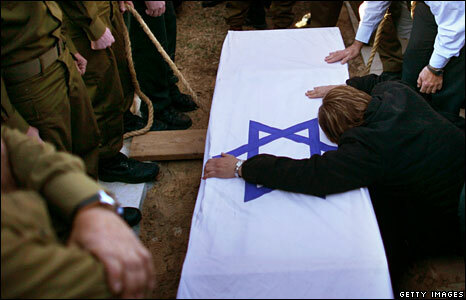 Fighting there as a staff sergeant in his infantry unit, the elite Golani brigade, he was felled by Hamas mortar fire. Though Israel has a conscript army, Dvir did not have to be in Gaza, as he had received high marks as instructor of a squad leader course, was asked to go to officer school, and would still have been in training had he accepted; he deferred, however, saying he would not be fit to command until he had first fought alongside his comrades. 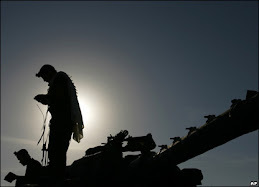 In fact, Dvir did not have to be in any front-line position: His father Netanel had died of cancer at age 46, shortly before Dvir's service began; as an only son in a single-parent family, Dvir was exempt under IDF rules from combat duty. Before accepting him to Golani, his commanding officer visited Dalia and asked if she acquiesced in her son's opting for a dangerous path he was not obligated to choose. Her answer: "If this is how Dvir wants to serve his country, then this is what he will do." Two days before entering Gaza, Dvir had called home and said: "Mom, I have to fight. I have to be there." He fell defending the Jewish Nation in Gaza. May his memory, and those of all of the fallen heroes of Israel, be a blessing. "We, pilots of the Israeli Air Force, flying in the skies over the extermination camps, arose from the ashes of the millions of victims, carrying their silent cries, saluting their bravery, and vowing to be a shield to the Jewish Nation, and to its Land, Israel." An oft-repeated cliche repeated by both Jewish leaders and the international community is that of "never again". Presidents and Prime Ministers visit Yad VaShem, pay tribute at Holocaust Memorials and shed crocodile tears over the Jews murdered in the Holocaust, while proceeding to condemn and attack Israel. The same leaders that stood silently in commemoration of the Holocaust denounced Israel with the most hateful vitriol during its moment of greatest need, as it was fighting to defend itself and its citizens. Never again, they pledged. Never again? Is that really so? The Holocaust teaches many universal messages. It teaches mankind to be ever vigilant against the forces of hatred and intolerance, whenever they arise against any people or group. It warns us never to allow bigoted speech and ideas fester and grow. It shows the ease with which an entire nation can descend to the depths of depravity and immorality. Yet, for the Jewish people, the Holocaust has one sharp and poignant message: Never again to be weak. Since the destruction of the Second Temple, for two millenia, Jews lived as strangers in foreign lands, minorities under the rule of others. In Christendom and in Islamic lands, Jews were forced to lived in ghettos, mellahs or juderias, to wear distinctive and humiliating clothing, had restrictions on their professions and employment and endured severe discrimination. Jews were at the mercies of the lords of the land and had to comply with their wishes, whether it be being forced to hear a conversionist sermon delivered by a priest in a synagogue on Shabbat, or to pay a jyziah tax in a debasing ceremony to their Muslim overlords. Jews were spat upon and cursed, beaten and abused at will. The two thousand years of Jewish life in Europe and the Middle-East, with the exception of occasional periods of prosperity and tranquility, was marked with constant fear and insecurity. Ravaged by pogroms and Crusades, Inquisitions and forced conversions, massacres and jihads, Jews lived with their lives always hanging in a narrow balance. A new king or pope, ruler or clergyman, could put the Jews in peril. In this climate of ingrained loathing and despising of the Jews, Hitler came along. He used the traditional anti-semitic motives of the Catholic church as well as new anti-semitic racial theories to stir up the people's hate. The policies of the Nazi Regime, even before the Final Solution to the Jewish Problem was implemented, were designed to crush and dehumanize the Jews. The Jew looked in trepidation at the Nazi brownshirts, Gestapo and SS, unable to defend or stand up for himself. Like animals, Jews were crammed into cattle cars, suffocated in gas chambers and burnt in ovens. The Nazi beasts could not have accomplished their genocide without the help of their Polish, Lithuanian, Ukrainian, Hungarian, etc. collaborators and executioners. Nor could they have managed without the world's silent approval. The Pope looked away when the Jews of Rome were rounded up from under his very window. Roosevelt, Stalin and Churchill all knew about the death camps, about the killing fields and mass graves in the Ukraine, about the gas chambers and crematorium in Poland, yet closed their doors to Jewish refugees. Allied bombers flew over Auschwitz but the military didn't see the use of bombing the train lines. As Jews needed a place to flee to, the British, at the urging of the Arabs and the Nazi-collaborator Haj Amin al-Husseini, may his name be accursed, prevented Jewish aliyah to the Land of Israel, and even sent refugees back into the hands of the Nazis. Just yesterday, on Holocaust Memorial Day, a group of partisans who fought the Nazis in the forests of Europe, visited an IDF air force base. One woman asked an officer in our air force if our pilots could reach Iran. "They can reach anywhere," he answered. This answer, powerful and moving for its simplicity, conveys the true meaning of never again. Never again will we wait in vain for Allied planes to bomb the gas chambers. Never again will we wait for world aid which did not come. Never again will we allow ourselves to be weak, to be victimized, to be powerless. Never again will we accept any conditions on where we can live, what we can wear, on our professions or possessions. Never again will we be at the mercies of the gentiles, begging for our lives. This pilot was saying that we may have been 60 years too late for the Jews of Europe, but we were not too late for the Jews of Yemen or Ethiopia. Never again will we be too late! We may not have been able to save the Jews of Warsaw, but our planes reached Iraq and Entebbe. Our planes can fly to Lebanon or Gaza, and they may yet fly to Iran, destroying the enemies of the Jewish people. We will not stand idly by our brothers blood, whether they are being rounded up and deported to annihilation, living under constant bombardment and rocket attacks or in the shadow of a nuclear attack. We know that the world abandoned the Jews to their fate, that deals were not made and safe havens closed off. Today, we can reach anywhere. Another survivor made her own request of the air force of Israel, "What I ask of you is to make sure that there will not be another Holocaust." As long as brave Jewish men and women don the uniform of the Israeli Defense Force and protect the Jewish people from on land, sea and air, there can never be another Holocaust. We have learnt the terrible price of being weak. Being defenseless and without a homeland came at the horrendous cost of a third of our nation. The hatred of the world for the Jews has not diminished one iota since the trains came to a halt and the crematoriums stopped giving off their accursed smoke. Across Europe and North America, in public forums and university campuses, the Jewish State is being delegitimized and marked as a pariah. We must not heed the words of these haters for we know too well how dearly we pay without a state of our own. The only thing that stands between us and Auschwitz-Birkenau are the soldiers of the IDF. Those who condemned the army going in to Gaza must know that they only went in there to protect and defend the Jewish people. They are what keeps us from the narrow brink, from the mound of ashes at Majdanek, from the halls of shoes and piles of hair. 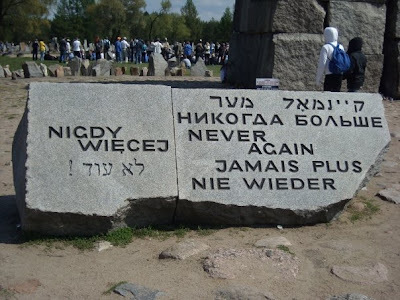 To the Jews of Europe, massacred because of the world's apathy and our own weakness, scattered in the forests of Teblinka, the fields of Birkenau or the mass graves of the Ukraine, we promise never again to be weak, to allow ourselves to be bullied and beaten. 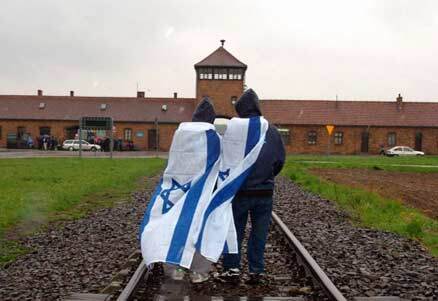 For this is the true meaning of "Never Again". Monday night, the 27th of Nissan, is Yom HaShoah v'Hagevurah, Holocaust and Heroism Memorial Day. On this day, we bear witness to the worst crime in human history, to the unfathomable murder of 6 million Jews of Europe, 1.5 million of them children. The Holocaust did not begin with gas chambers or crematorium. The road to Auschwitz-Birkenau was a gradual process, one that began with the delegitimization and isolation of Jews from general society. The Final Solution, which almost completely wiped out European Jewry, began with words of hatred and intolerance. It began with the demonization of Jews as disloyal to their countries, foreign parasites destroying the culture, race and homeland from the inside. Children were taught in schools that Jews were the enemies of the Aryan race, and in the papers, on the radios and in speeches, Jews were denounced. Before official government policies could separate and ostracize Jews, Nazi propaganda made them persona non grata, completely loathsome and rejected by German society. Singled out for persecution, Jews were forced to wear yellow stars on the clothes. Restrictions were imposed on where Jews could go, what they could own and where they could work. They were completely separated from society at large. Jewish businesses were boycotted and German who patronized them were humiliated. This process of state-sponsored hate exploded into a full-fledged government-initiated pogrom on November 9th, 1938, Kristallnacht. On this Night of Broken Glass, SS thugs murdered 91 Jews, vandalized tens of thousands of Jewish businesses, destroyed 200 synagogues across the Reich and sent 25 000- 30 000 Jews to concentration camps. This marked the beginning of the end of the Jews of Europe, and beginning of the Final Solution. It was no longer sufficient to burn Jewish books, businesses and synagogues, but to burn Jews themselves. The Holocaust was not a German crime against the Jewish people- the Eastern European nations, the Litvaks, Poles, Ukrainians, Serbs, Croats, etc. happily became Hitler's willing executioners. The Holocaust was a conspiracy of silence against the Jews, as half of the world actively murdered Jews while the other half shut its eyes and ears to their cries. Just as the Jews of Germany were searching for safe havens to flee to, the world closed its doors. The United States imposed strict quotas on immigration. Canada's response to the numbers of Jews to be allowed in was "none is too many". The British, succumbing to Arab pressure, led by the Mufti of Jerusalem and Hitler-admirer, Haj Amin al-Husseini, may his name be accursed, shut firm the gates to the Land of Israel. Jews who had escaped on ships such as the St. Louis were turned back to, sent to Hitler's infernos. Seeing that the world was simply not interested in helping Jews, Hitler realized that he would have no opposition in implementing the Final Solution. The entire German state apparatus devoted itself to systematically and bureaucratically rounding up, rooting out and exterminating every single Jew in Europe, and eventually around the world. The German PhD's used their expertise to further the goal of making Europe judenrein, German engineers built factories of death and German doctors and scientists devised ways of turning Jewish skin into lampshades and Jewish bones into soap and fertilizer. From as far south as Greece and as far north as Norway, Jews were transported to their annihilation in the death camps of Poland. Entire Jewish communities were snuffed out in these factories of death, their names living on in infamy: Auschwitz-Birkenau, Treblinka, Majdanek, Sobibor, Belsec and Chelmo. In these gas chambers and killing fields, a culture was murdered. Some of these communities were ancient, millennia old. Old and well-established communities, such as the Sephardic Jews of Saloniki, Bulgarian Jews, Polish and Italian Jews, were completely decimated. Two thousand years of Jewish life in Europe was erased. Fortresses of Torah Judaism, good pious Jews were destroyed. Nothing we have today even compares to the depth and vibrancy of Jewish life in pre-War Europe. Today, beautiful and majestic synagogues sit abandoned and derelict as their congregants are ashes in the fields and forests of Poland. Incredibly, barely 60 years since the world closed its eyes to the plight of the Jews caught in the fires of Nazi Final Solution, Jews are once again targets of hatred and anti-semitism. This year, due to the economic crisis and conflicts in the Middle-East, has seen the worst outbreak of anti-semitism since before Kristallnacht. The ferocity of this renewed hatred manifested itself in the self-righteousness and hypocritical protests around the world in support of Hamas and against Israel. While Israel was bombarded with 10 000 rockets, the world kept silent. Not a peep was heard over the Russian bombings of Chechnya, the US in Iraq or Afghanistan or the genocide in Darfur. Yet, when Israel finally decided to launch an offensive to end constant rocket fire, hateful and violent rallies were held worldwide. Crowds in Europe, North America and the Islamic world equated today's Jews with their 20th century executioners, all while screaming things like: "Hamas, Hamas, Jews to the gas!" and "Death to the Jews!". Jewish institutions around the world, synagogues, businesses and schools were vandalized and attacked. In January, while Israel was fighting against a terrorist organization in Gaza, over 250 anti-semitic incidents were reported worldwide. In Toulouse, France, assailants rammed a burning car into the gates of a synagogue, causing damage but no injuries. That same day in southern Sweden, a Jewish congregation was attacked when someone broke a window and threw a burning object inside. In the United States, vandals used shaving cream to paint swastikas on a Malibu Jewish Center and Synagogue, and shattered one of its windows in mid-January. On one sabbath, 4 synagogues in Chicago were defaced. France saw an explosion of anti-Jewish attacks. The incidents included a stabbing of a a young Jewish man by two masked car thieves outside Paris, and two firebombing attacks against synagogues in Saint Denis, a northern suburb of Paris, and in Strasburg. Israel has become the proverbial Jews among the nations. "Zionism" has replaced the defense of the Aryan race as the rallying cry of that so offends anti-semites. Alone of all the national liberation movements around the world, Zionism is singled out and defamed as "racist". Israel, the state that arose like a phoenix out of the ashes of the Holocaust, has never been subjected to such vile hatred. This very hatred made a Jewish state necessary, after the world stood idly by as the Jews were rounded up and murdered, powerless, during the Holocaust. On college campuses across the United States and Canada, there was a week-long hate-fest of "Israeli Apartheid Week". In York University in Ontario, crowds surrounded the Hillel House (Jewish student organization), besieging and trapping the Jews inside, while screaming: "Die Jews!". The legitimacy of the Jewish state is constantly challenged, 61 years after its founding, by denying the Jews the right to self-determination, or that they even constitute a nation. Beginning April 20th (ironically, Hitler's birthday), the UN will convene in Geneva to have a follow up to the 2001 Durban Conference in Support of Racism and Anti-Semitism. 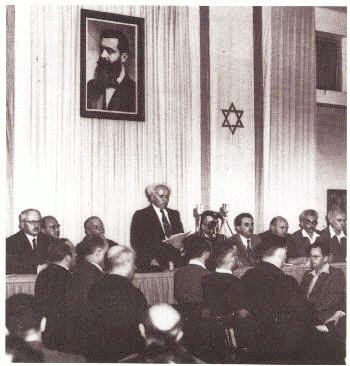 At this conference, the Jewish delegates were abused and attacked. Protesters compared Israel to apartheid South Africa and Nazi Germany, while selling copies of the Protocols of the Elders of Zion and Mein Kampf, and bemoaning that Hitler didn't finish the job. Israel has become a pariah in the international community. Hatred for Israel has allowed anti-semites to justify and explain away every single Arab excess and act of terror, every single brutal murder of a Jew. Teenagers gunned down in a yeshiva studying Torah or axed to death, Israelis blown to smithereens by Hamas rockets, all of these are legitimate targets. "Occupation", "racism" or the failure of the "peace process" are valid reasons for an Arab to crush mothers and babies with a bulldozer on the streets of Jerusalem. Settlers, after all, deserved it. The world, and unfortunately Jews as well, have not learned from history. Just as Nazism began with the Jews but threatened the entire world, so does radical Islam today. Israel is the canary in the coal mine. It always begins with the Jews but never ends with the Jews. It seems that, for the Jewish people, its is 1939 again as we find ourselves unwelcome in a growing number of countries. In Venezuela, armed thugs broke into a synagogue, scrawled "Death to the Jews" on the walls, defiled the Holy Ark and stole information regarding the synagogue membership, right after the President of the country denounced and accused the Jewish community. The only difference today is that we have a state and an army and we will not allow ourselves to become victims again. Never again will we wait in vain for bombs on gas chambers that never came, or for the world to rescue us. History demonstrates that the world is blind and apathetic at best to the suffering of Jews. As the witnesses to Hitler's crime are slowly dying out, we must stand us and say: Never again! Never again will our blood be cheap, will we be persecuted and killed wantonly. In the 1940s, close to a million Jews from Arab countries were expelled from lands in which they had lived for 3000 years. 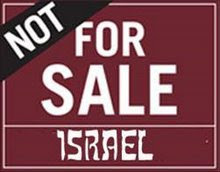 They lost billions of dollars in property and came penniless to Israel. While we hear so much about the "Palestinian" refugees, the plight of the Mizrahi Jews has all but been forgotten. In Egypt, 80% of the Jews did not leave but perished in the Plague of Darkness. These Jews simply could not separate themselves from the the gentile culture of Egypt and were not ready for the Redemption. It seems like a similar number of the assimilated Jews of the United States feel the same way. Douglas Bloomfield, from YNetNews, warns of how Israel's new Foreign Minister, Avigdor Liberman, may alienate American Jews. Lieberman, who was Netanyahu's chief of staff during the latter's first term as prime minister, said concessions to the Arabs "just invite pressure, and more and more wars. If you want peace, prepare for war." With declarations like that and his reputation as a racist who wants to drive out Israel's Arab citizens, Lieberman may be the best thing that has happened to pro-Arab lobbying in Washington since Yasser Arafat died. But for the Jews he's bad news. A recent survey for J Street, the Jewish "pro-peace, pro-Israel" lobby, conducted by Jim Gerstein, a Democratic strategist, showed Obama is "considerably more popular" among American Jews than Netanyahu by a 73-58 margin, and Lieberman's views are "resoundingly rejected by American Jews." The cornerstone of pro-Israel lobbying for more than 60 years has been Israel's yearning for peace in the face of Arab threats to destroy it. Israel, we've been taught and have taught others, is willing to take great risks, endure major sacrifices and accept painful compromises while the other side has insisted on its unrealistic and uncompromising demands. Israel has ridden that image, despite occasional ups and downs, to a position of great strength in America and especially on Capitol Hill. After Lieberman's declarations and Netanyahu's so-far lack of a convincing commitment to peace, Israel risks being branded an obstacle to peace. There is a hard-core element in the Jewish community that will support Israel do or die, but the J Street data shows that fewer and fewer under 30 will, said Gerstein. Their grandparents forged their ties with Israel during the vulnerable years of its birth and struggle for survival; their parents are of the post-1967 generation that grew up knowing the muscular Israel anxious to make peace. The 21st-century Jews see a different Israel, said a prominent pro-Israel lobbyist. "They see oppression, excess use of force and arrogance," he said. For many of them it is no longer the center of their Jewish identity. Basically, liberal Jews are more comfortable with Israel carving itself up, uprooting Jewish communities, expelling hundreds of thousands of Jews and of millions of Israelis cowering in bomb shelters, all for the sake of "peace", rather than a strong Israel. Following the recent war in Gaza, amidst false reports of Israeli "war crimes" and IDF atrocities, many liberal Jews felt torn between support of Israel and pictures of poor crying Arab women. These liberal supporters of Israel felt the need to somehow justify Israel's right to defend herself and of its citizens not to be blown to smithereens by Hamas Kassam rockets. And now that Israel has elected a new government that at least seems less interested in misguided "peace" processes, these Jews are squirming in their seats. It is shocking that 60 years after Israel's re-establishment, liberal Jewry can be so fickle as to shift their support based on the policies of Israel's government. Most American Jews detested Bush yet few condemned America's right to exist or opposed the US war on terror. 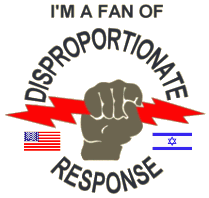 American Jews need not question Israel's legitimacy or be embarrassed by Israel. Whether the government is left or right, patriotism and nationalism is something that must run deeper. Lieberman is absolutely correct in rejecting naive notions of "land for peace". Such an idea is absurd. 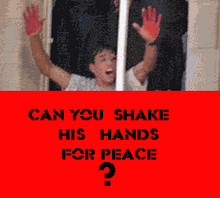 If the Arabs want peace, then they can put down their arms and get peace. Israel has offered far too much land at too high a cost, for nothing. "Peace" is not worth the demise of the Jewish state. Carving up Jerusalem and making Judea, Samaria and the Golan Heights judenrein, effecting marching back into exile, is not a price we are willing to pay to receive world approval. Of course, it is ludicrous that the victor of a defensive war should give land to an enemy which attacked it, and it defeated, 6 or 7 times in various wars. 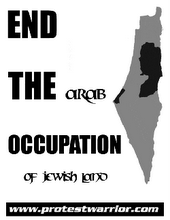 If anything, the Arabs should be offering Israel land! A few years ago, a study showed that for many American Jews, the Holocaust, and not the State of Israel, played the central role in their Jewish identity. It is a sad testimony to the contemporary state of American Jewry when they feel most connected to the brutal and horrendous victimization and destruction of European Jewry as opposed to the living and vibrant reborn Jewish state. It shows a tendency to prefer to be the victims than to stand up for oneself, to be passive rather than assertive and to be the one being killed as opposed to doing the killing. In short, many liberal Jews identify more with Tevye the milkman from Czarist Russia, or Anne Frank, than with the Entebbe Mission or the triumphs of the Six Day War. Only among Jews can this pathological self-deprecation be found. It is not wonder than American Jewry is in a speedy decline, sliding into obscurity with an over 50% assimilation and intermarriage rate. Within a generation or so, Jews in the United States will not even be an identifiable group, as intermarriage will have caused non-committed Jews to become extinct. With such an abysmal ignorance of Judaism and a lack of Jewish pride, these sad trends should not surprise anyone. 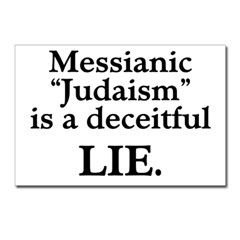 I say to American Jews to please hitch yourself to the nearest synagogue or study hall and to learn Judaism, real Judaism, and to grow a little Jewish pride. Stop apologizing for Israel protecting itself and its citizens. We don't want another Yad VaShem or an international Holocaust Memorial Day. Israel doesn't have to grovel before the Arabs and endanger itself for "peace" to win your love or anybody else's. The Jewish future will be in Israel while those who are unable to see this may end up, G-d forbid, with the same fate as the 80% of Jews who did not leave Egypt. To all of Am Yisrael, have a chag Pesach kasher v'sameach! May we witness miracles in our times just as we did in the days when we left Egypt. May we see the Final Redemption speedily in our days! "And it was this that stood for us and our forefather. It was not one alone that stood up against us to annihilate us, but in every generation there arise those who wish to wipe us out. And the Holy One, Blessed be He, saves us from their hands." The world's silence is deafening. When Israel finally took measures to protect itself against the thousands of rockets launched against it by Hamas, protests and denunciations broke out worldwide. Thousands of people marched in the streets condemning Israel's offensive and supposed Israeli "war crimes". The media showed a constant stream of crying Arab women, injured or dead children, homes in rubble, accompanied by some Arab ranting about the evil Zionists. Despite a lack of evidence, we were treated to horrendous stories of human rights abuses, of Israeli attacks on ambulances and hospitals, of a "massacre" at a UN school. Based on hearsay and rumours, the New York Times, among many supposedly respectable newspapers, ran front page stories of testimonies of Israeli soldiers intentionally shooting innocent Arabs. Yet when it comes to the brutal murder of a young Jewish boy by an axe-wielding Arab terrorist, not a peep is heard. 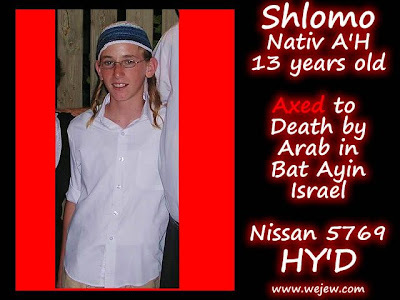 Two days ago, an Arab terrorist entered the Jewish community of Bat Ayin and killed 13 year-old Shlomo Nativ, and injured another young boy. It is hard to fathom the level of depravity of someone who can look at teenager, barely bar mitzvah, in the eyes and swing an axe at his head. This is precisely what the wicked terrorist, may his name be accursed, did, nurtured and bred on the hatred and anti-semitism that permeates Arab society. This attack was barely reported in the American or European media. I saw one article hidden in the back pages of the newspaper describing the killing of "settlers", as if somehow a Jew living in Judea and Samaria legitimizes hacking him apart with an axe. The article described the community as very radical. Imagine the twisted logic- an Arab tears a Jewish child apart with an axe and the Jews are called extremists! Israel has been so demonized and maligned by the media that it is legitimate according to many to kill Jews. A boy being slaughtered by an axe-wielding terrorist is an "act of resistance". The motivation of the terrorist, excuse me, "militant", is sheer desperation over "the occupation" and at the lack of success of the peace process. Totally overlooked is the extreme level of incitement in the Islamic world, total dehumanization of Jews and a religious imperative to slaughter them for a heavenly reward of 72 virgins. Once again, Jewish blood is cheap. There will be no military reaction to this cruel and brutal murder. Shlomo Nativ's blood cries out from the ground, unavenged. Our "peace partners" understand this loud and clear and know that the world will not bother to lift a finger or even utter its objection to killing Jewish children. The world never changes. And Israel's lemming leaders will look beseechingly to Washington before doing anything. On Wednesday night, Jews around the world will celebrate the holiday of Pesach which commemorates the Exodus from Egypt. As they have done for thousands of years since we left Egypt, they will sit down with friends and family and retell the story of our going forth from Egypt. For 210 years, the Israelites were oppressed in Egypt, subject to the most harsh of torments, victims of Pharaoh's Final Solution. The Israelites were so utterly degraded and humiliated by the back-breaking hardships of Egypt. If an Israelite slave could not fulfill his mandated quota of bricks, the Egyptian taskmasters would stuff his babies in the walls. Pharaoh would bathe in the blood of Jewish babies as his astrologers told him that this would cure his leprosy. Finally, after 210 years of abject torture, the message came to Moses: "I have surely seen the affliction of My people who are in Egypt, and I have heard their cry because of their slave drivers, for I know their pains. I have descended to rescue them from the hand[s] of the Egyptians and to bring them up from that land, to a good and spacious land, to a land flowing with milk and honey, to the place of the Canaanites, the Hittites, the Amorites, the Perizzites, the Hivvites, and the Jebusites. And now, behold, the cry of the children of Israel has come to Me, and I have also seen the oppression that the Egyptians are oppressing them. So now come, and I will send you to Pharaoh, and take My people, the children of Israel, out of Egypt." (Ex. 3:7-9) No longer could G-d remain silent and keep His peace. No longer could He bear the sight of Jewish children wantonly killed, or ignore the cries of His tortured people. G-d sent a 10 plagues against Egypt, to humble them and to demonstrate His might. The final plague that G-d sent against Egypt was the Plague of the Firstborn. G-d sent this plague against every firstborn in Egypt, from Pharaoh's firstborn to the firstborn of foreign slaves and handmaidens. Even the Egyptian slaves were included in this plague because they took pleasure at the torment of the Jews, and rejoiced as the Jews suffered. Because of this, they deserved to be punished. This is what I reply to any Jew who sheds a tear over the "innocent" Arab killed in Gaza, the same "innocent" Arab who danced when Jews were murdered in the streets of Jerusalem, in Merkaz HaRav, in Bat Ayin, in Sderot, and so forth. These Arabs who celebrate and give out candies when Jewish children are killed, on these people we can have no pity. 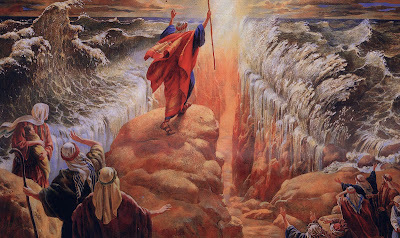 Our rabbis tell us (Midrash Avchir): "And Israel saw the great hand of G-d' - When the Almighty wished to drown the Egyptians, the Archangel of Egypt (Uza) said: Sovereign of the Universe! You are called just and righteous...why do you wish to drown the Egyptians? At that moment Gabriel rose and took a brick and said: Sovereign of the Universe! These who enslaved Your children such a terrible slavery as this, shall you have mercy on them? Immediately, the Almighty drowned them." Shall we have mercy on those who wish to drive us out from our land, who murder us with suicide bombings, shootings, rockets or axes? Thousands of Israelis will sit around their seder tables and look at the empty chairs of family members, absent because they were killed by Arab terrorists. 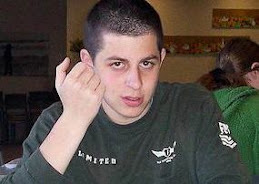 The Nativ family will mark its seder without their beloved son Shlomo, because he was taken away from them by an Arab. Every year at our seders, we pause to open the door for Eliyahu HaNavi, Elijah the Prophet, and we raise a cup and declare in full view of the nations, without shame: "Pour out Thy wrath upon the nations that know Thee not and upon the kingdoms that call not upon Thy name; for they have consumed Jacob and laid waste his dwelling. Pour out Thy fury upon them, and may the kindling of Thine anger overtake them. Pursue them with anger and destroy them from under God's skies." We pray that G-d not allow evil to continue unopposed and that the wicked gloat. Many Jews are uncomfortable with this seemingly primitive call for revenge. We must, however, remember the words of the Passover Hagaddah, "be'chol dor va'dor - And there were those who stood up against us and our forefather, and not one alone who stood against us to annihilate us, but in every single generation, there are those who arise against us to annihilate us. And the Holy One, Blessed be He, saves us from their hands." This is not just a remembrance of a historical event. We are living this passage! Think of the 8 beautiful students killed in Merkaz HaRav, March of last year, or of Shlomo Nativ, killed only because they were Jews. How can anyone not be moved to demand that G-d repay His enemies? How can any Jew not demand that G-d bring the Redemption and usher in an era of morality, where the wicked are humbled and the righteous rewarded? May this Pesach be a true layl shmurim, a night of protection, for the entire nation of Israel, and may we witness as great miracles as we did when we left Egypt. May we celebrate this Pesach with Moshiach Tzidekeynu, Eliyahu HaNavi and offer the korban haPesach in the rebuilt Temple in Jerusalem. May we see the Final Redemption soon, speedily in our days.